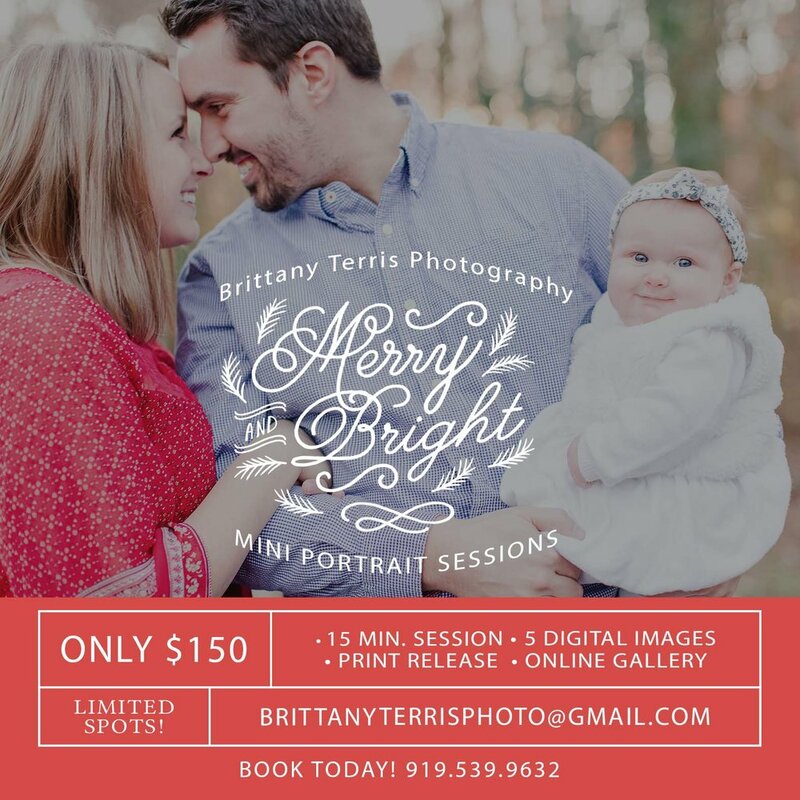 I’m so very excited to be offering these Merry & Bright Mini Portrait Session this Christmas season! Whether you’d like to use a few images for your Christmas card or you’d like to update your family photos, this is a great opportunity for you to receive professional images of your family! But, don’t drag your feet! Last year these booked up very quickly! Details below!